This wonderful city is spread out at the foot of Carpathian Mountains, on the picturesque hills of the Prut River. It is an unofficial capital of the Bukovina region, and, along with Lviv, is one of the most important cultural centers in Western Ukraine. 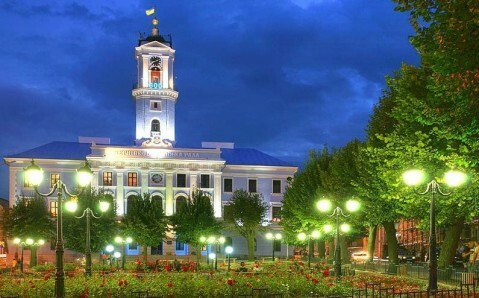 Chernivtsi distinguishes itself from other cities in the region with its bright personality, unique energy, and magical atmosphere. It fascinates with its eclectic architecture, rich cultural heritage and the spider-web like labyrinth of ancient European streets and squares. By the 12th century, Chernivtsi was already a part of the Galicia–Volhynia Principality. It gained the status of a city only three centuries later, when it was absorbed by Moldavia. After that, the Polish–Lithuanian Commonwealth and the Ottoman Empire ruled the city, but it remained a poor and unremarkable district of Europe for over 300 years. Chernivtsi’s luck change in the late 18th century, when the city, along with all of the Bukovina region, was annexed by the powerful Austro-Hungarian Empire. Over the next hundred years, due to the efforts of Emperor Franz the Second, Chernivtsi developed into one of the richest and most beautiful cities of Europe. The remarkable interweaving of history and culture has dictated its charming image. 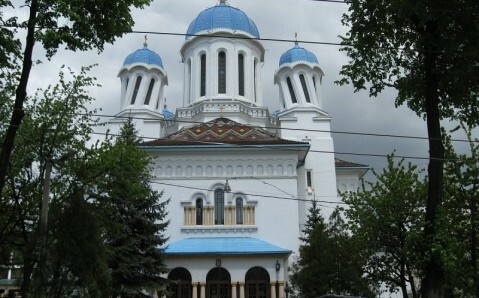 Here, you will find elegant classicist houses standing next to solemn Catholic churches, an ornate Baroque theatre neighboring an Armenian church, and an ancient Orthodox cathedral adjoining a synagogue. 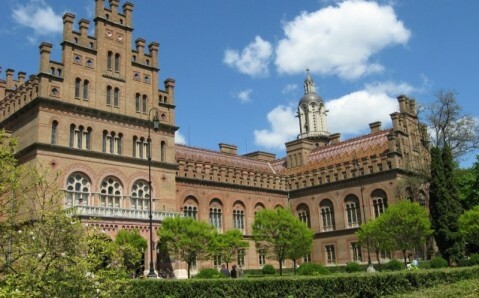 But the brightest of Chernivtsi’s architectural jewels, embodying a mixture of varying styles and cultures, is rightly considered to be the housing compound of the former Bukovinian high priests (today it houses the National University). The complex, a UNESCO World Heritage Site, was created by the great Czech architect Josef Hlávka and it is amazingly beautiful. You will find traces of Moresque, Byzantine and Romanesque styles in its design. One more important sight in Chernivtsi is the Central Square, whose architectural ensemble consists of decorative, old buildings giving the square its European look. The Town Hall, built in the late Classicist style in the middle of the 19th century, stands in the center of the square. Nearby, a charming Bukovinian bank and administrative building draws you in with its beauty. It is considered to be one of the finest examples of Modern style architecture in Eastern Europe. An art museum now occupies the building. The breathtaking Theatre Square is decorated by the Olha Kobylyanska Music and Drama Theater, created by the architects of Vienna’s and Odesa’s opera houses. It is considered to be one of the best European theatres of its time. 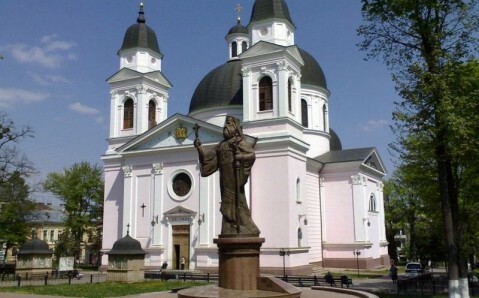 The title of the most original building of Chernivtsi belongs to Orthodox St Nicholas Cathedral. Because of unusual look, with its crooked cupolas “leaning” to the main dome, the temple is colloquially called "the drunk church.” If you stare at it for a long time, you will begin to feel slightly inebriated. So, the St. Nicholas Cathedral can truly be called the most mind-blowing of the city’s sights! 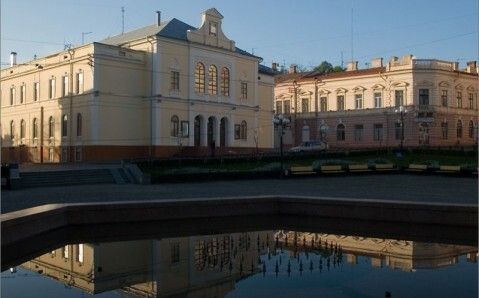 Chernivtsi is a dynamic and extremely attractive city, never failing to fascinate its guests. Some come here to admire the city’s fine architecture; others, to walk its narrow streets and feel the inimitable spirit of Bukovina capital. But all of them, without exception, plan to return to this unique city many times again! ´´CERNAUTI,,ES UNA CIUDAD MARAVIOSA AL IGUAL QUE LA REGION DE BUCOVINA Y PROVIENEN DEL PAIS VESINO RUMANIA .EN LA 2 GERRA MUNDIAL RUMANIA PERDIO LA REGION DE BUCOVIN CONTRA LOS SOVIETICOS( RUSSIA) ASI SE ICORPORO LA REGION DE BUCOVINA JUNTO CON LA CIUDAD CHERNIVTSI EN UKRANYA.